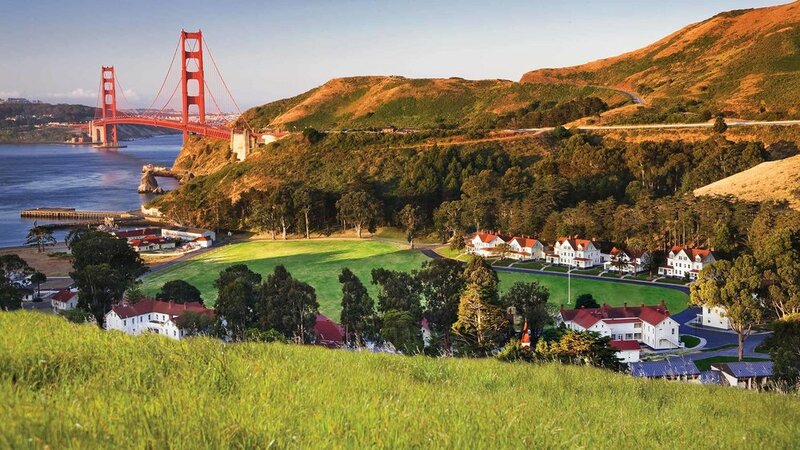 Nestled at Golden Gate Bridge in historic Fort Baker, Cavallo Point welcomes visitors to a unique guest experience achieved with ecological intelligence. Situated in 75,000 acres of national parklands minutes from San Francisco, the award-winning lodge is close to everything but away from it all. 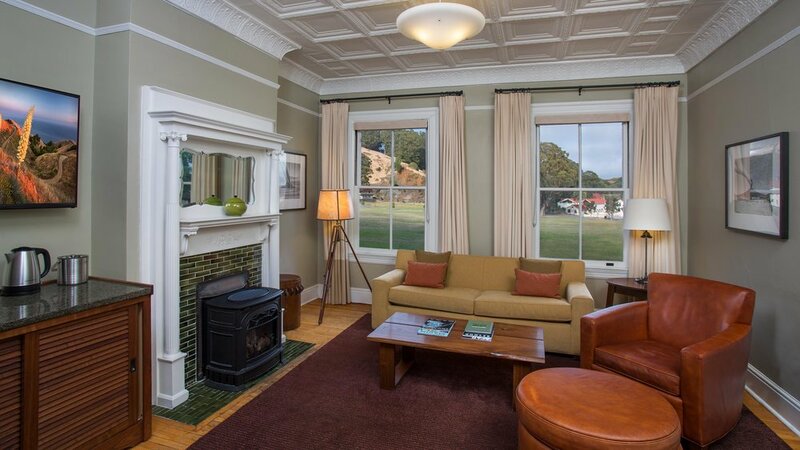 Certified LEED Gold, Cavallo Point has 142 Historic and Contemporary rooms and suites. Most offer fireplaces and sweeping views of San Francisco Bay, the city and bridge. There’s also much more. Refined Northern California cuisine at Murray Circle restaurant makes the lodge a top culinary destination, and an intimate cooking school features an ever-changing schedule of chefs and classes. At the spa, surrounding eucalyptus and pine trees set the mood for tranquil, soothing treatments. The Mercantile reflects Cavallo Point’s commitment to sustainable living with hand-crafted clothing and accessories. Miles of hiking trails in national parklands and dog-friendly housing make the lodge a great choice for families. Guests enjoy complimentary yoga and guided hikes, with myriad activities and adventures nearby.